The Old Castle Harbour is located in the XIIIth century ship repair yard – a very unique and attractive place right in the heart of the city of Klaipėda. The harbour mainly serves minor pleasure boats and yachts which due to the harbour location are completely safe from strong waves and winds. 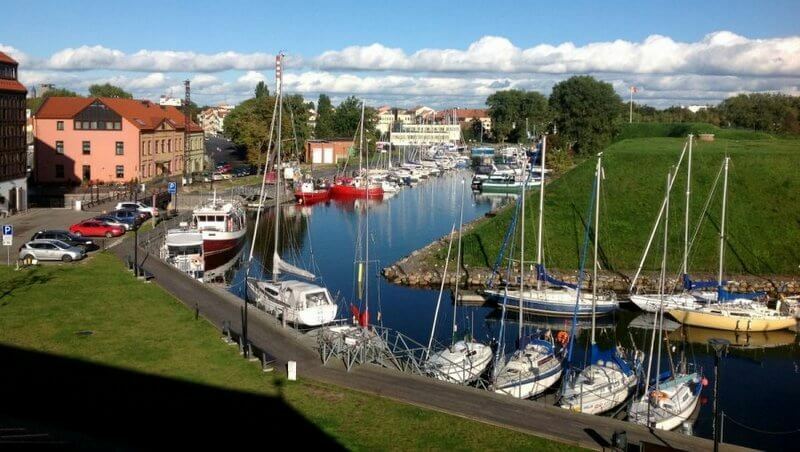 Klaipėda is the oldest city in Lithuania, first mentioned in 1252 under the name of Memelburg. This is a city of German culture, characterized by moderation and modesty. Here you can explore Klaipėda’s Old Town unique with its fachwerk architectural style and the planned street structure, visit various museums, architectural monuments, cosy cafes, and full of golden amber souvenir shops. 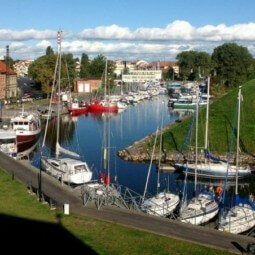 It‘s also definitely worth visiting the UNESCO protected Kuršių Nerija (Juodkrantė, Nida), „Lithuanian Venice“ – Mingė or the Mecca of birds – Ventė. All will find the place in your heart.